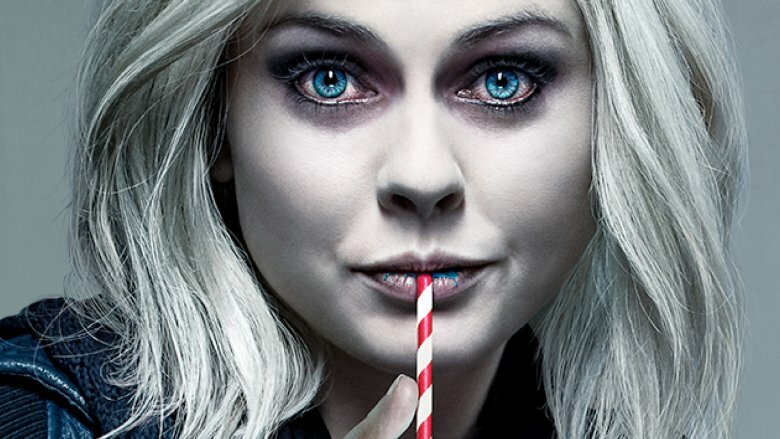 IZombie is coming back for season five. According to Deadline, The CW has handed down a renewal to the zombie procedural, which is based on the DC Comics Vertigo series of the same name. iZombie stars Rose McIver as Liv Moore, a medical resident whose life gets turned upside down when she is turned into a zombie. She winds up taking a job at a morgue alongside her friend and boss Dr. Ravi Chakrabarti (Rahul Kohli), and, with the assistance of the psychic powers she gets from eating people's brains, she and Ravi assist Seattle Police Detective Clive Babineaux (Malcolm Goodwin) in solving the city's toughest homicides. Robert Buckley, Aly Michalka, and David Anders also star. The show, from Veronica Mars' Rob Thomas, has been a solid critical performer, although it has never been a huge ratings hit. The CW has renewed most of its series this year, including the Arrow-verse (Arrow, The Flash, Legends of Tomorrow, and Supergirl), Crazy Ex-Girlfriend, jane the Virgin, Riverdale, Supernatural, Black Lightning, Dynasty, and The 100. The network canceled freshmen dramas Life Sentence and Valor, as well as the long-running Vampire Diaries spin-off The Originals, which will conclude its run with a fifth and final season. iZombie airs on Mondays at 9 p.m. on The CW.